Almost 90 percent of customers think brands need to work harder at creating a seamless experience. But with disconnected communication channels and siloed departments, it’s a problem that’s hard to overcome. Until now. 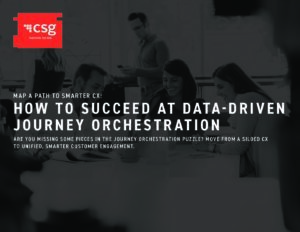 Discover how journey mapping can move you from siloed customer communications to unified customer experiences—and help you engage customers throughout their journey.